UPDATE: Tickets competition extended to Friday 2 September! 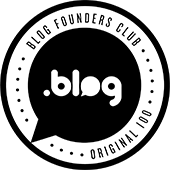 TheOuting.LGBT is more than just clever use of a new Top Level Domain – it’s a brilliant idea to celebrate the positive, forward-looking Ireland we in Blacknight are proud to be a part of. As festival organiser Eddie McGuinness describes it: “it’s a new twist on an old tradition”. Historically, people would enjoy a little leisure time, in September when the harvest was saved, to visit resorts like Lisdoonvarna in County Clare. Matchmaking and courting would be a part of that, hopefully leading to an engagement at Christmas and a wedding in Shrove, the period after Christmas and before Lent. (Traditionally, weddings would not be performed during Lent). It was part of the natural cycle of the year in a time when people’s lives were governed by changing of the seasons. Marriage isn’t for everyone, of course, but it’s still seen today as an important way for people to commit to each other in love. And it has become an important issue in terms of equal recognition for LGBT people in society. On 22 May 2015, the Irish people voted by an overwhelming majority to amend the Constitution by inserting the words above. At Blacknight, we supported that cause and called publicly for a Yes vote. We believe that whom you choose to love is nobody’s business but yours, and your love is entitled to equality with anyone else’s. As the referendum result shows, that’s not an unusual position to take in Ireland today: for most people there’s nothing controversial about it. In 2013, the small Irish village of Lisdoonvarna emphasised that point by setting aside the final weekend of the 160-year-old matchmaking festival to make the LGBT community feel especially welcome. The Outing was born. Last year I was with our CEO Michele Neylon when we ran into The Outing’s founder, Eddie McGuinness, at the Dot-IE Net Visionary Awards. He told us about The Outing, and how it was growing from year-to-year. We saw an opportunity for our progressive Irish brand to support another growing success story, and the rest is history. The Outing promises to be a fun weekend away in a special part of Ireland. You don’t have to be single to enjoy it – you don’t even have to be gay! Our message is that everyone is entitled to a fun weekend in Clare! Well known hosts including Panti and Brendan Courtney will host the events on the main stage, and Noughties girl band B*Witched will headline the musical acts ranging from Irish traditional to cabaret. Art exhibitions and films add to the mix, and fourth-generation matchmaker Willie Daly will be on hand to put his unique talents to work on the important business of finding love. Blacknight will be there: we look forward to meeting you! Tickets are on sale now, covering a weekend’s entertainment and accommodation in one of Lisdoonvarna’s four luxurious hotels. And Blacknight is giving away a pair of tickets to celebrate our involvement. Full details on how to enter are in the press-release included here in full below. Irish web hosting company Blacknight has announced it will sponsor ‘The Outing – 2016’, the fourth annual LGBT Matchmaking & Music Festival, held in Lisdoonvarna, County Clare. “Our message to the LGBT community is that everyone is entitled to a fun weekend in Clare!”, says CEO Michele Neylon. A chance to win tickets for 2 people, covering 3 nights B&B and entertainment. 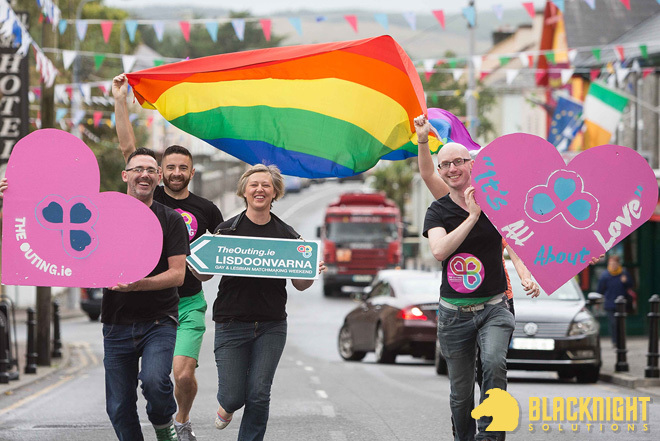 Blacknight, Ireland’s leading web hosting and domain names company, has announced it will sponsor ‘The Outing – 2016’, the fourth annual LGBT Matchmaking & Music Festival, held in Lisdoonvarna, County Clare. “In the Spring a young man’s fancy lightly turns to thoughts of love” wrote Tennyson, but of course he was thinking of the gentry. For ordinary country folk, love had to wait until the Autumn, when the harvest was done. “This is a festival like no other in the world and, like we say here in Ireland, we are the land of Love & Equality. Having a home-grown company like Blacknight as our festival partner and web host is a marriage made in Ireland”. The Outing promises to be a fun weekend away in a special part of Ireland. You don’t have to be single to enjoy it – you don’t even have to be gay! To be in with a chance to win, just mention @Blacknight and #TheOuting in a post on Facebook or Twitter, explaining why you want to be there, and include this link: TheOuting.LGBT.